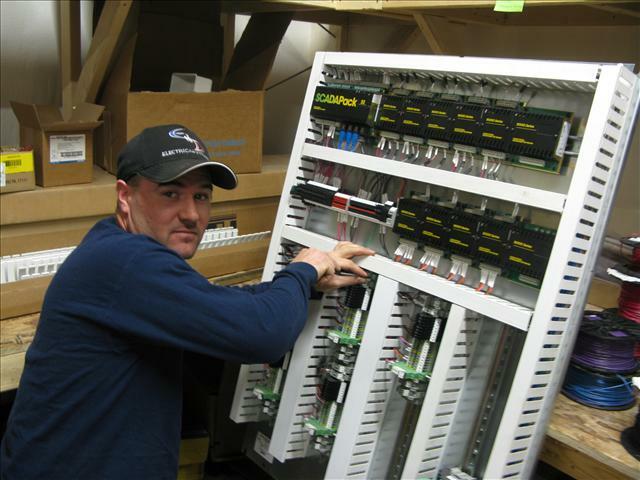 AT EDI, our largest scope of work consists of electrical and automation systems in the gas and oil industry. Providing all of the installation and maintenance needs of our clients, EDI has become the standard for quality in well site construction. Having used many diferent types of automation and instrumentation, we continue to expand our knowledge and product base through extensive training and education. Also for industry, we offer Capstone Microturbine certified installations and maintenance. Having three technicians on staff who are fully qualified to operate these systems, we have had extensive experience installing and providing maintenance on this specialized equipment. We are willing to travel worldwide to install these systems and continue to see excellent results from this product. At our shop in Riverton, Wyoming, we have built a panel shop to aid our existing clients with their dynamic needs. Having constructed many types of RTU based systems, we are fully equipped to handle the requests of most clients. We are in the process of becoming UL listed and again have excellent employees in place to provide the best products. Although we specialize in industrial applications, we are fast becoming a major player in the commercial construction market in Wyoming. We have completed major projects for some of the largest general contractors in the state and are continuing to bid on upcoming projects. As we have begun to focus more on commercial construction, we have also acquired the very best in estimating software and equipment to ensure that we are not only competitive, but profitable as well. In the near future, we will also be providing for the engineering needs of our clients. We are currently interviewing and having alternate discussions with various qualified individuals who can help us improve our product base.